Having spent nearly ten years working in the wine industry of Northern California, Angela gained invaluable experience working with wine collectors of all levels and professionals across the industry from vineyard management teams to winemakers. She learned customer service and negotiation skills, how to work effectively with a team, and most importantly, how to discern an excellent wine. This native New Yorker has spent time living abroad in Italy with dual citizenship in Greece, so she is fluent in both languages and loves exploring other cultures and hearing stories from around the world. This makes her an asset to buyers and sellers alike in the melting pot of NYC. 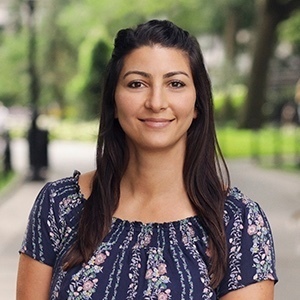 As a resident of Astoria, Angela enjoys being involved in the same eclectic and vibrant neighborhood where she spent much of her childhood visiting her grandparents. She looks forward to sharing her knowledge and love of Queens with others.